Barrington Hall : Yacht broker for crewed yacht charter vacations. Barrington Hall Luxury Yacht Charter company was established in 1995 after Andrew and Gaile Buys had spent 5 years chartering the Caribbean on their custom made catamaran after both of them became certified captains in 1990. In early 1990 they purchased a catamaran and sailed across the Atlantic to start a catamaran charter business in the Caribbean. With the tremendous knowledge gained they opened Barrington Hall Yacht Charters in late 1995 offering Caribbean catamaran sailing vacations and luxury yacht charters. We have first hand knowledge of all those out of the way beaches and how to plan the ultimate luxury yacht charter experience for our guests. We do business the good old-fashioned way, where your satisfaction is our number one priority! We want our luxury yacht charter guests to be able to reach our staff at any time of the day or night, including weekends; answering machines are not an option with us. Availability is vital to personal service, and the quality of our service today is tomorrow's reputation. Impeccable service today builds an illustrious reputation tomorrow. Our corporate luxury yacht charter office is in Fort Lauderdale, Florida U.S.A. We have the same banking association and have built a solid legal and fiscal infrastructure to protect your monies and deposits. Since the beginning they have steadily grown our new guests as well as increased their base of happy repeat customers. Barrington Hall Luxury Yacht Charters is your home for fully crewed yacht charters have earned a superior reputation for customer service and use cutting edge internet technology to maintain open communications to keep up to date information about the private charter yachts, crews and the vacationing public. This attention to these details has been instrumental in our rapid and continual growth for the past 20 years. Our luxury yacht charter business has expanded from offering Caribbean catamaran charters into providing private catamaran, superyachts charters and sailboat vacations worldwide in such fabulous destinations as the French Riviera, Greek Islands, Mediterranean Sea and the Bahama Islands. Luxurious yacht charter and catamaran sailing vacations require meticulous planning. We gather your food and bar preferences and anticipate the needs for you and your party. This detailed planning needs the input of professionals who know the crews, vessels and maintain a vast knowledge of your selected destination. 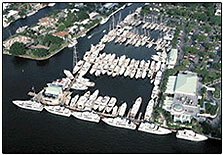 It is rare that we provide you with more than 3 yachts for your review. Each luxury private yacht has been carefully selected for you as we hand pick the private yachts and crew based on your wants, desires and preferences. Whether you are planning a fully crewed yacht charter for a Catamaran Sailing vacation or on a Mega Yacht in the Caribbean, Greek Islands or the French Riviera, we are here to serve your every need to ensure that you have a vacation of a lifetime. 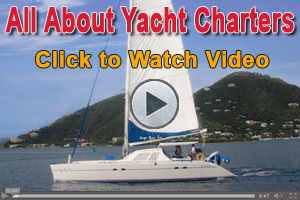 We would not be doing our job if we overwhelmed you with 7-12 yachts for your consideration. Our continued growth is dependent on our us providing you with the best luxury yachts, team and current information. 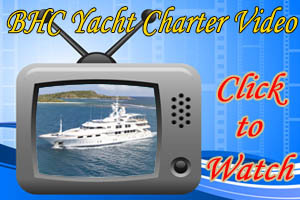 All yacht charter vacations are not created equal! We simply take care of all the details to ensure that you have the ultimate yacht charter experience. Attention to details is what makes our service unique from other yacht charter business. 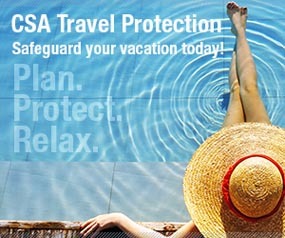 Enhancing the quality of your luxury private yacht vacation is what we do best!